Are injuries better in Spring Training? Scott Baker, Matt Garza, Ian Stewart, Arodys Viscaino, and Dontrelle Willis. Scott Baker is returning from Tommy John surgery and is expected to return in mid April. Matt Garza has strained left lat muscle. He is possibly returning in the beginning of April. Ian Stewart has a left quad strain and expected to return soon. Arodys Viscaino is recovering from Tommy John surgery as well. No date is set for his return, so we most likely won’t get to see him play in spring training. Dontrelle Willis had some left shoulder tightness after 7 pitches in the February 25th game. Although it is minor he has a big hill to climb for a comeback. Out of all these injuries the two most notable ones are Matt Garza and Ian Stewart. The Cubs are banking on Matt Garza to lead the Cubs pitching to a winning season. The Cubs also gave Ian Stewart an opportunity to prove himself after a injured season last year. Injuries have been a problem in the past for the Cubs, especially when they are trying to build a championship caliber team. However, there are quality points that a Cubs Fan can be proud of. Dontrelle Willis’s return to the Cubs shows the veteran experience the Cubs want to see in their pitching staff. The Cubs would love to have Kerry Wood, Mark Prior, Dontrelle Willis and Carlos Zambrano (of Yester-Year) to start opening day. That is just virtually impossible and all of them really don’t have their stuff anymore. These are the guys with the knowledge of how to Win and that is why the Cubs are giving them a chance to return and hang out with the team. There presence on the field will teach the younger generation the ropes. 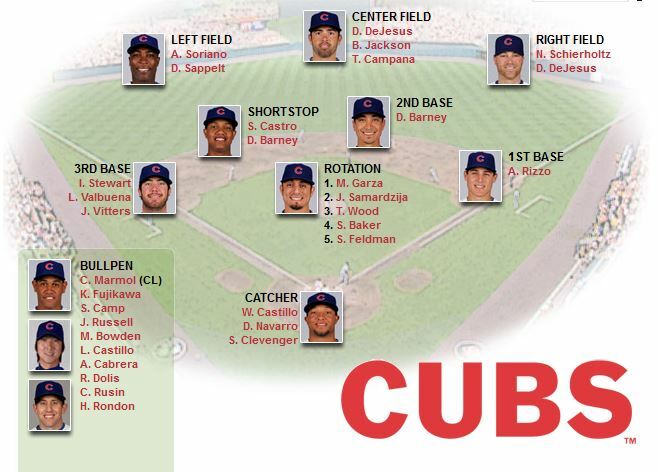 The Chicago Cubs 2013 Depth chart is filling out well. There is a balance of left handed hitting, right handed hitting and speed to make a lot of scoring plays. The line up in 2013 will be an important part of the Cubs game. The Cubs line-up shows diversification and strength as long as it stays healthy. There are plenty of backups in the outfield and the infield to allow for some possible injuries. The only concern at this point is the backup for first base. There is no viable first basemen that matches the quality of Anthony Rizzo. If he gets injured the Cubs will surely sink to the bottom of the standings. Soriano may be able to pickup the team and carry them into a 3rd or 4th place finish, but it is highly unlikely for this team to have a good finish with injuries. With a strong healthy year they could finish second, but it will take a lot of work. The quality of players show a lot of potential to a winning team, but they are still young and may take a year or two to grow into a well oiled machine. Hopefully there will be more of these flags to raise up this year. Here is an interesting topic. 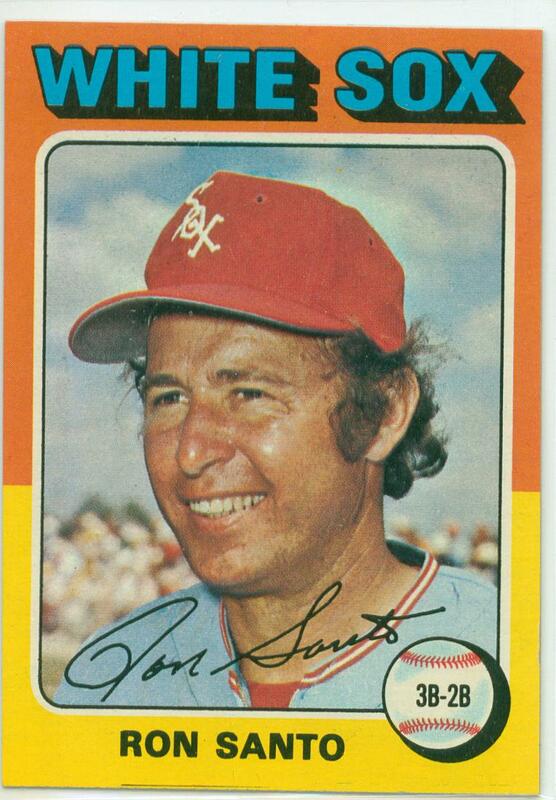 On December 11 1973, Ron Santo was traded to the Chicago Whitesox for Steve Stone and two other players. After 39 years, both Ron Santo and Steve Stone have been announcers for the Cubs. 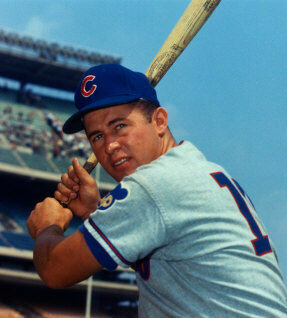 Ron Santo displayed his passion for the Cubs every day. Nothing mattered to more to him than watching the Cubs win. Steve Stone also displayed this passion to the front office, managers and players. 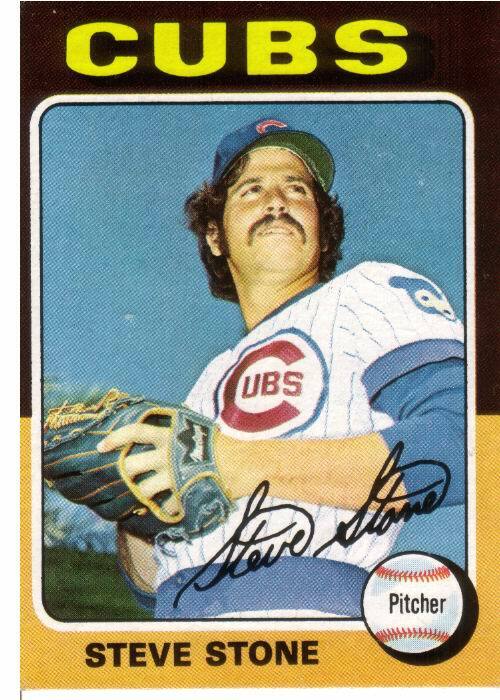 Steve Stone had the same passion as Ron Santo since the 1973 trade. It is something about being a Cubs that makes the passion come out. Unfortunately, the Cubs were not fond of Steve’s comments as he left the announcer’s booth in 2004. Both Ron Santo and Steve Stone are true passionate Cub players that were never heard by the team. Maybe the new owners and management can center some focus around the heritage and history of the Cubs to drive a winning attitude? “I truly thought they would bring Steve Stone back to replace Bob Brenly”. Will Soriano be a Cub next season? 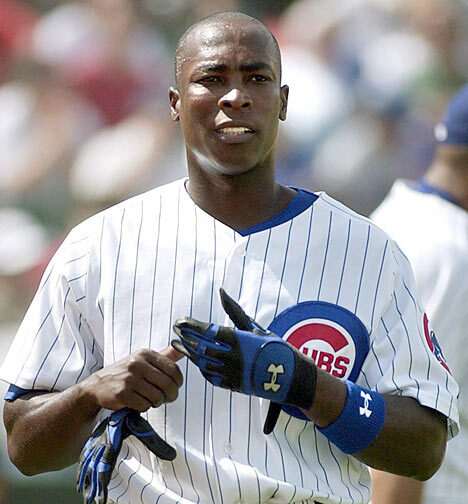 If the Cubs make a trade with Alfonso Soriano it will have to be a good one. Soriano is not Carlos Zambrano. The Cubs wanted to get rid of Zambrano. Soriano, they wouldn’t mind keeping around this year. The Cubs are looking at Top Prospects to meet their goals but they are not about to give in to another teams demands just to deal Soriano’s salary away. There are rumors heating up that Anibal Sanchez has a deal with the Cubs. Both the Cubs and Anibal have said that there hasn’t been a deal yet. The Cubs brought back Kerry Wood and Greg Maddox before they ended their careers. It is something about Chicago that makes a player miss the city. 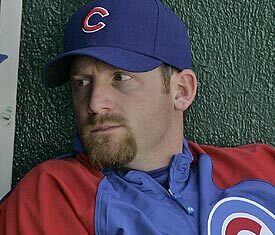 Ryan Dempster only lived down the street from Wrigley Field. For all we know he probably still owns the place. Ryan Dempster reportedly turned down the Red Sox on a 2 year $25 million contract. He also has had offers from the Royals and the Brewers. The rumor is that he is looking for a 3 year deal but a 2 year deal with the Red Sox seems close enough to negotiate. There are no strong signs that the Cubs have turned on the after burners to try and get Ryan Dempster but it would appear that they may have the best opportunity. The Cubs are looking for someone with his capabilities and consistency to fill the rotation. He also brings the comedy and chemistry the pitching staff needs to relax and play well. 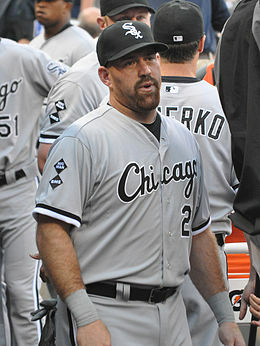 It is known that Ryan enjoyed his time playing with the Cubs and he would most likely want to finish his career in Chicago. His time in Texas was obviously uncomfortable as he struggled to get settled in. Ryan knows his time is getting short as a pitcher. He will most likely want a deal with a team that he comfortable with that he can play out the rest of his career. The Cubs signed a third baseman to replace Ian Stewart. It is non other than… Ian Stewart. It would appear that Theo Epstein and Jed Hoyer Non Tendered Ian Stewart to 1. See if he really wanted to stay in Chicago or test the market out 2. The deal they had for a prime third baseman didn’t work out. It is a good move to keep Ian in the clubhouse as he has experience and chemistry built with the team and the management. The next deal the Cubs finalized is signing a right fielder Nate Schierholtz. Nate is a quality player. He has a consistent batting average and great on base percentage. He is also known for a strong defense in the outfield. “That should tame the left-handed hitters.” At this point the outfield is strong. Alfonso Soriano in left, David DeJesus in center and Nate Schierholtz in right. The Cubs also selected Hector Rondon in the Rule 5 draft. This is a thrill for the Columbus Clipper fans of Columbus, Ohio. 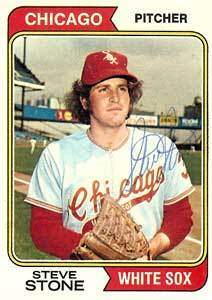 Although, he has had elbow surgery the Cubs must have found a silver lining some where in his playing abilities. He is a seasoned minor leaguer with some sketchy numbers. Maybe Theo and Jed plan to rebuild him too.